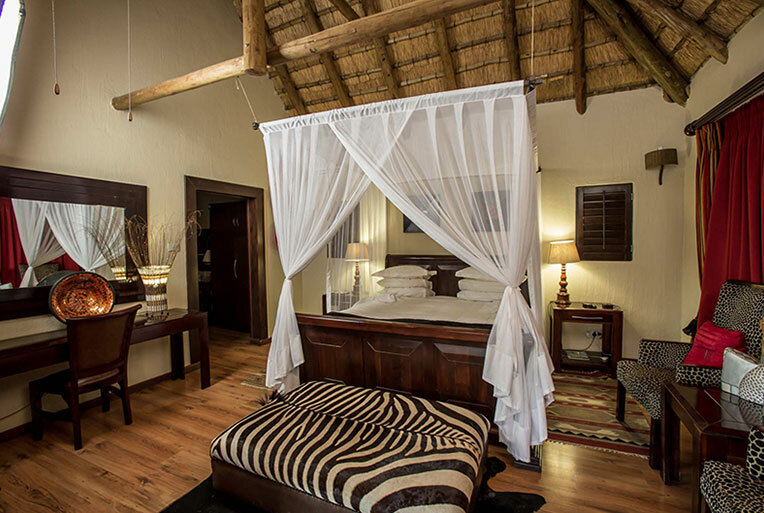 The majestic suite is fit for royalty. 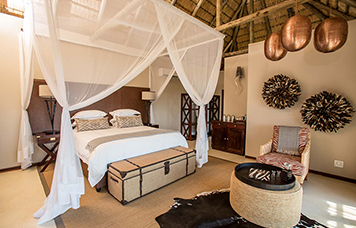 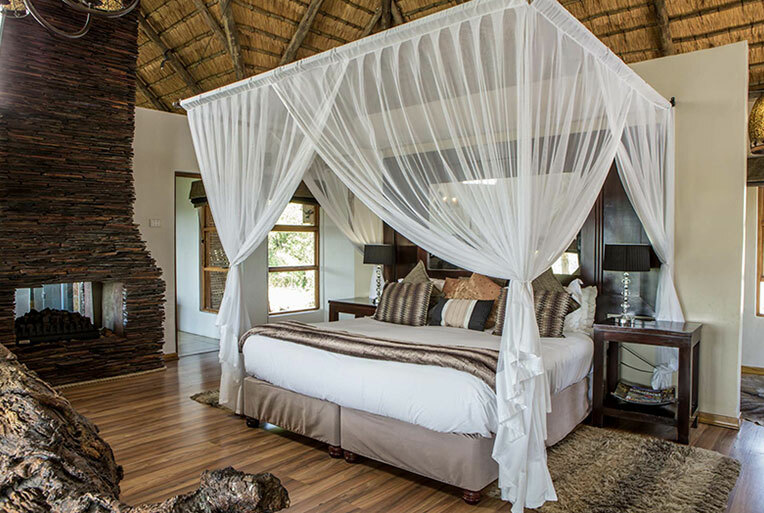 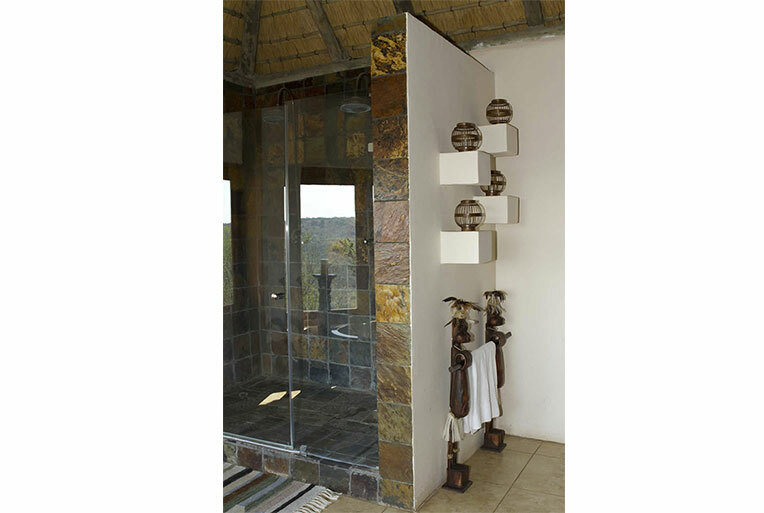 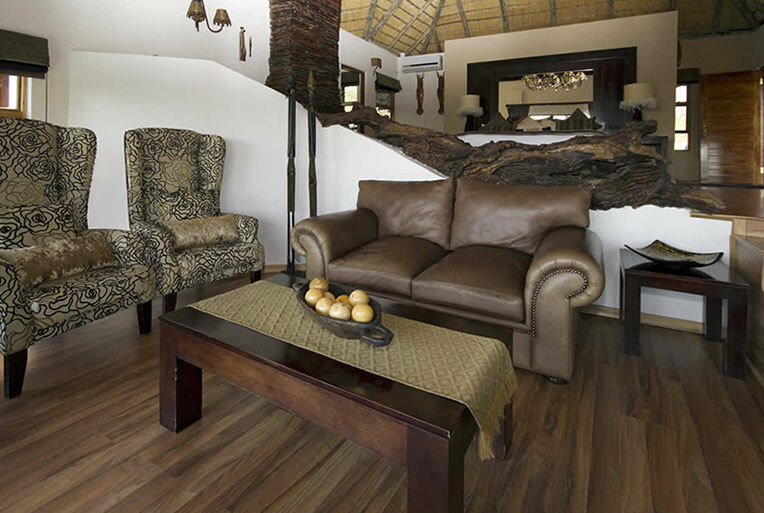 The extravagant stone bath with breathtaking views through large open windows is the perfect setting for relaxing, and soaking up the beauty of the African bush. 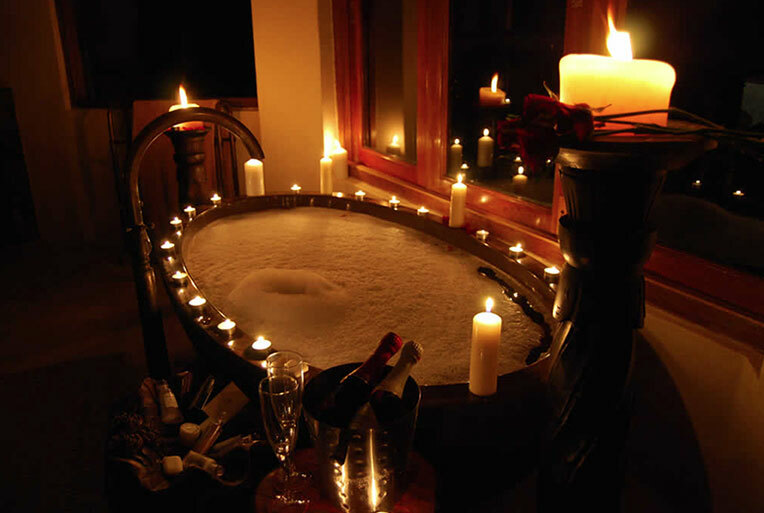 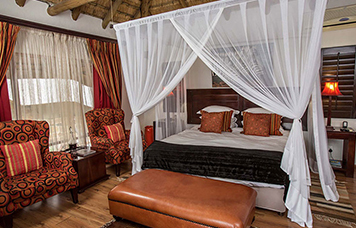 The bedroom and bathroom add to the romantic atmosphere. 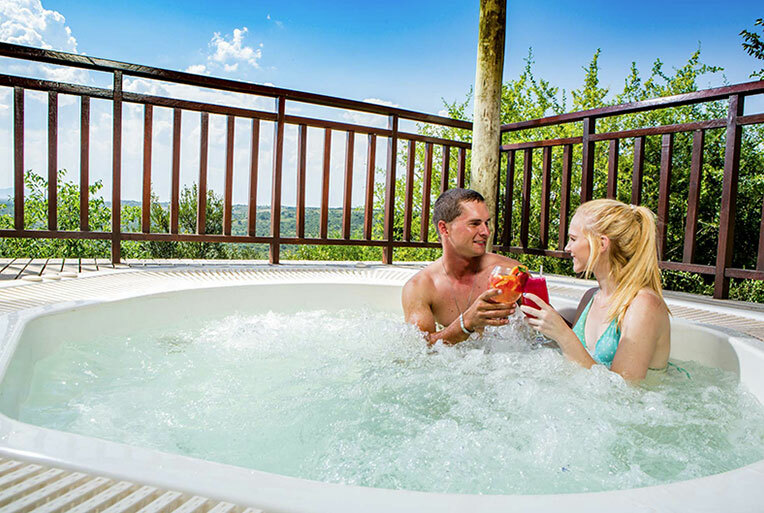 The private deck is complimented by a Jacuzzi for unwinding in lavish style.